Customer-facing giants find that innovation, agility and cost benefits outweigh the negatives. Will Verizon's migration inspire others to follow? The skepticism that major consumer-facing enterprises have long expressed about shifting key information resources into public clouds may finally be receding. On May 15, Verizon Communications announced that it would begin migrating over 1,000 business-critical applications and database backend systems to Amazon Web Services (AWS), with several of moves including the migration of production databases to Amazon Aurora, AWS’s relational database engine. "We are making the public cloud a core part of our digital transformation, upgrading our database management approach to replace our proprietary solutions with Amazon Aurora," said Mahmoud El-Assir, senior vice president of global technology services at Verizon in a statement released by the company at the time of the announcement. "Working with AWS complements our focus on efficiency, speed and innovation within our engineering culture, and has enabled us to quickly deliver the best, most efficient customer experiences." Verizon's public cloud migration is raising speculation that other major enterprises may soon follow the same course. "It’s not yet a secular trend across industries or sectors, but there is a definite increase with different adoption strategies," said Suranjan Chatterjee, global head, cloud apps, API and migration, for Tata Consultancy Services. Along with the upfront cost savings, key forces inspiring big businesses to pop into the public cloud include enhanced availability, efficiency, agility, flexibility without redundancy and economies of scale. "These driving forces are difficult to get in a private cloud setup." Chatterjee commented. Many large enterprises are now looking to the public cloud as a path to spur innovation, said Brett Aukberg, CTO North America, for IT advisory firm Citihub Consulting. "Well-engineered clouds enable software developers to iterate and improve their solutions much more rapidly than more traditional infrastructures," he explained. "Ultimately, by using public clouds, organizations can focus their resources on technologies that differentiate them in the marketplace and less on commodity technology." Chris Scott, managing director of Accenture's AWS Business Group, concurred. "AWS and the public cloud provides businesses with significant scale and agility, all while giving access to the latest emerging technologies," he said. Migrating key resources to the public cloud also enables massive enterprises to provide faster and more efficient customer services and support. "Services like Amazon Connect are providing the basis for Intelligent customer experiences," Scott said. "These services allow customer-facing businesses to focus on their business objectives and competitive advantages without having to worry about infrastructure." Moving critical data assets to public cloud also gives enterprise giants the potential to increase agility, reduce customer churn-related costs and boost average revenue per user (ARPU), observed Eric Terrell, managing director of Six Nines IT, a firm that specializes cloud migration services. "Companies like Verizon have invested massive capital in failed platforms and services," he noted. "With AWS, Verizon can turn on infrastructure and grow as their customer base grows, reducing the risk and cost of failure and actually incentivizing innovation." The major public cloud providers are also actively enticing major new clients by continuously introducing new capabilities and pushing the boundaries of distributed systems, data science, machine learning and artificial intelligence. "The cloud technology race can be compared to the space race of the '60s and very few organizations can afford to be in this race," Aukberg noted. 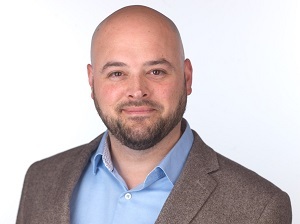 The biggest drawback companies face when shifting their assets to the public cloud is a perception issue, observed Mike Vogt, data practice lead at SPR, a technology consulting firm. "Many of these companies have the means necessary to create their own data servers of private clouds, but the reality is that this is not always the most cost-effective, secure or useful option," he explained. "Several of these companies worry that moving to a public cloud may cause users, stockholders, etcetera, to think that the company is unable to support these infrastructures internally, which is not true." Another negative for many large enterprises is that the migration process itself may require additional investments in order to optimize applications for the cloud or modify existing operations and organizational processes. "This investment, though, provides a large return by increasing business agility and providing a platform to innovate with speed and scale," Scott said. 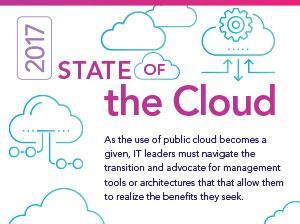 Many of the large organizations transitioning to the public cloud will also need to learn how to properly manage and secure their content. This challenge is often more procedural than technical, Aukberg noted. "Regardless of how well cloud service providers secure their overall environments, proper data classification, encryption, handling, retention and disposal remain the responsibility of the owning organization," he explained. "However, data gravity—the general tendency for systems to perform better when proximate to their data, and for many systems to share data—will help push the general trend for nearly all data to be moved to a public cloud."